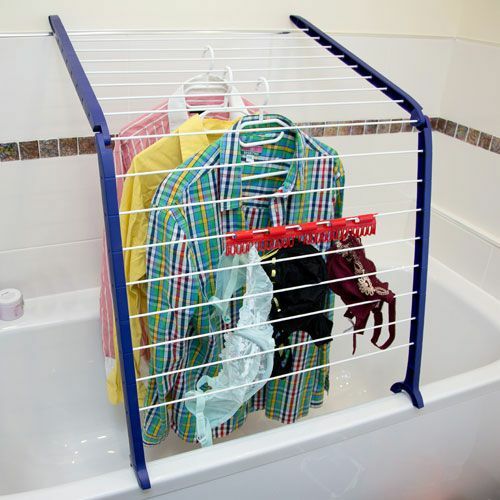 Easy to erect, simple to use and store. 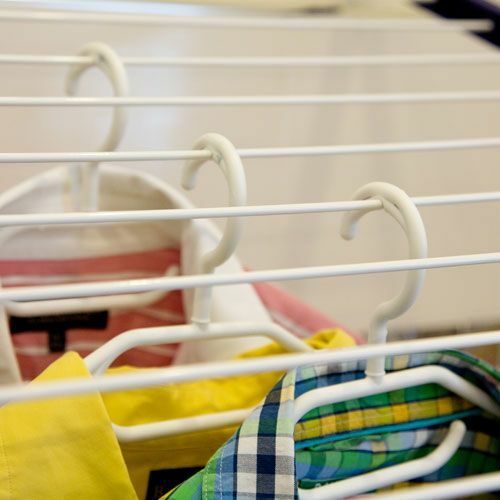 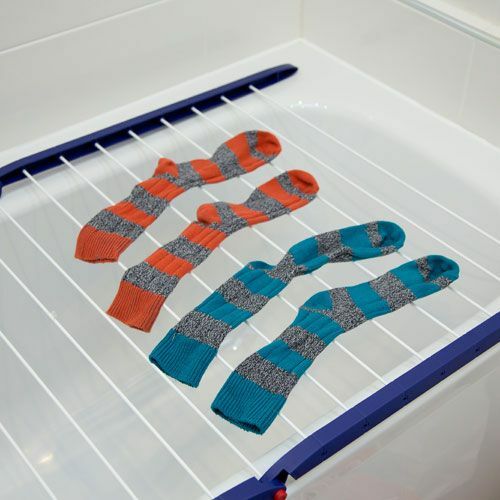 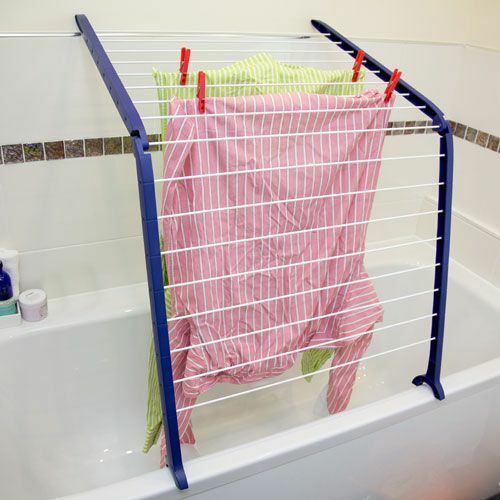 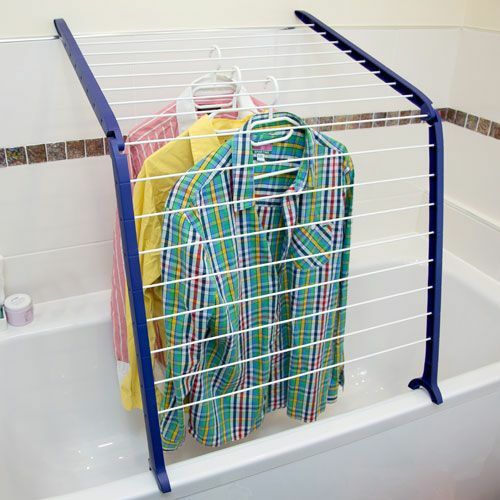 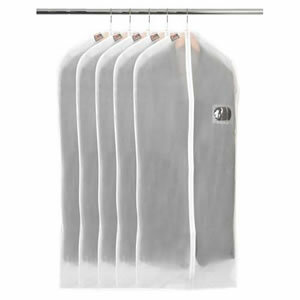 A fantastic way to air your laundry whilst making full use of limited space. 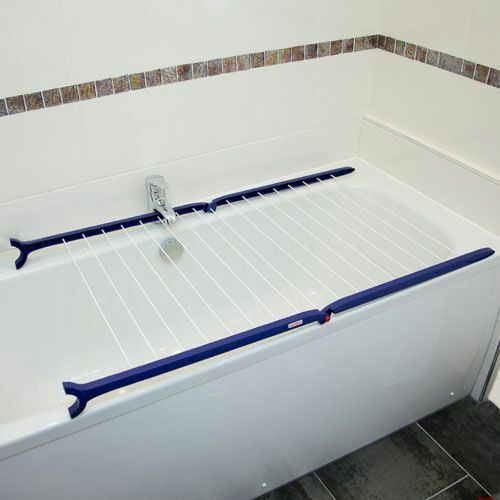 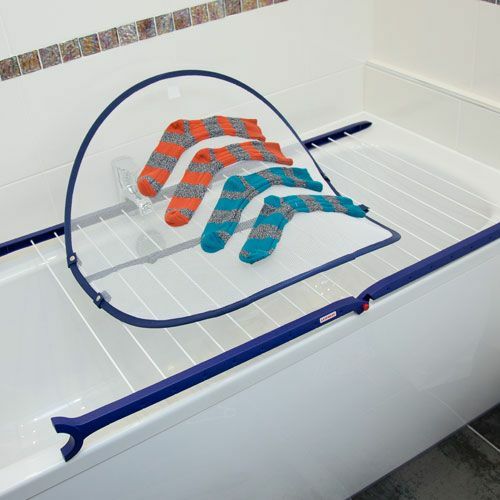 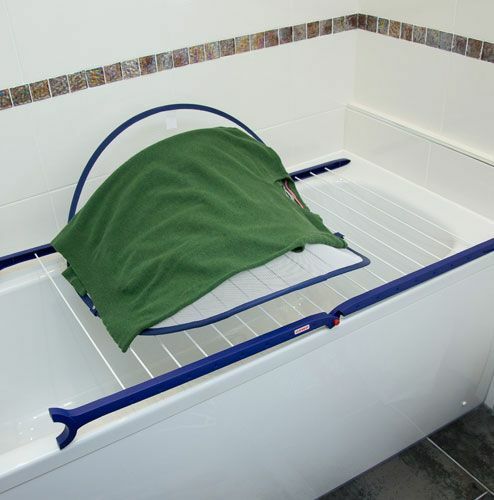 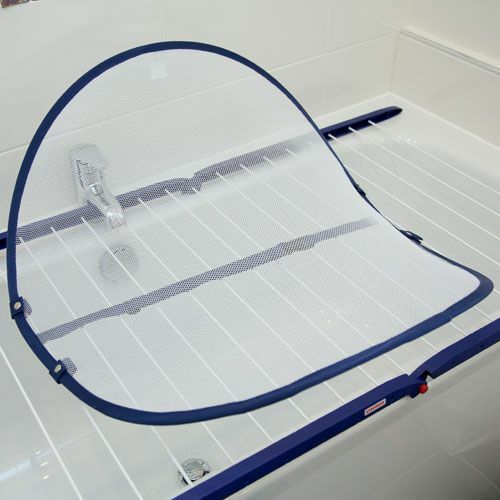 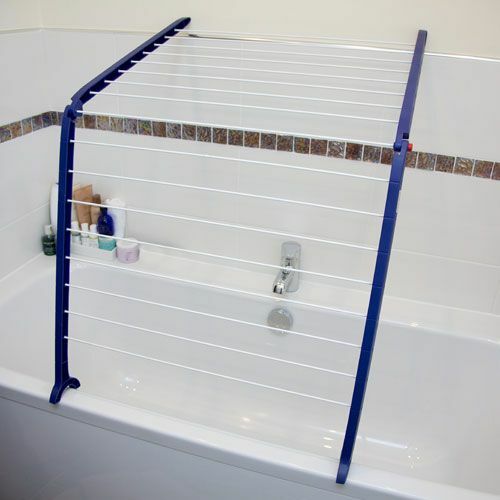 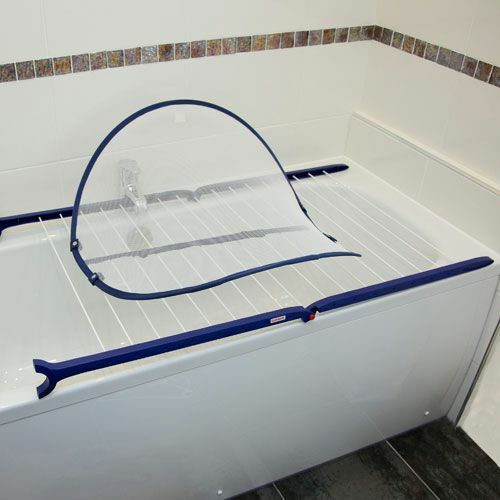 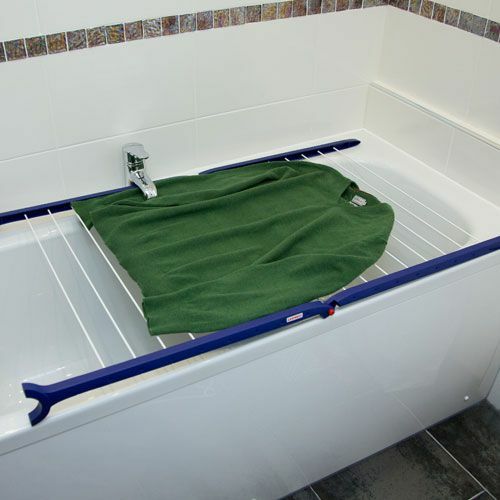 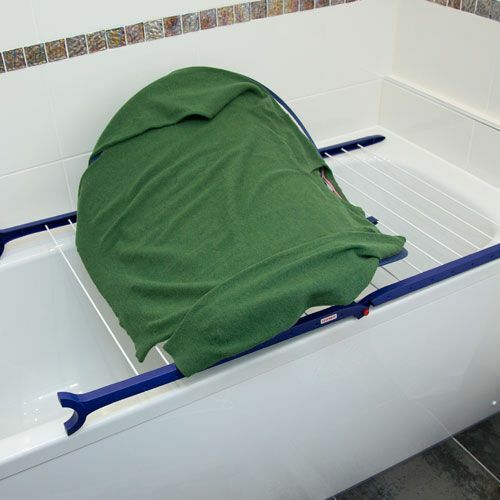 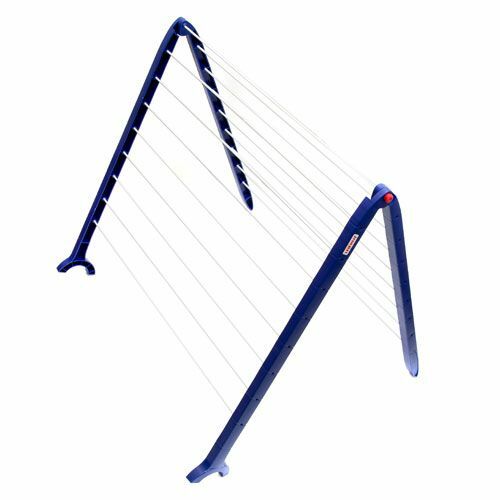 This product can dry a whole load of washing in your bathtub - the legs are adjustable in 12 positions to fit different sizes. 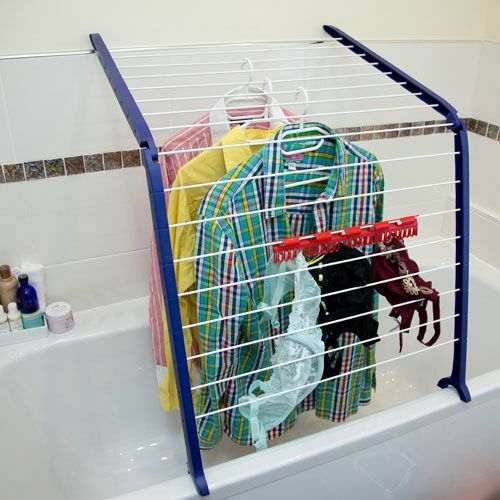 This is a truly innovative idea to make the best use of space whilst being easy to use, erect and store.